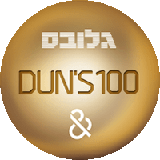 Katzenell Dimant is recognised among Israel’s leading law firms in the areas of International Transactions, Capital Markets, Hi-tech and M&A or the scope and quality of our transactional work. Katzenell Dimant is a multidisciplinary commercial and corporate law firm, widely regarded as one of the best boutiques in Israel in all the areas we practice. We remain responsive and dedicated to our clients’ needs from start to finish, and guide them on route to attain their goals and conquer their challenges. Ran Dimant & Einat Katzenell. At Katzenell Dimant we work closely and intimately with our clients, often being regarded as their business partner, making it possible for us to offer tailor-made solutions that suit time and budget constraints. Having a deep understanding of our clients’ business environments we have grown a reputation for “punching above our weight”, advising business owners, executives and entrepreneurs on formulating strategy for dealing with their biggest challenges. Then we help them get there.  Content on this site is not designed to provide legal or other advice or to create attorney–client relationship. You should not take action based on this website.